Rajasthan Royals team for IPL 2019 is placed here. After a reasonably successful return to the IPL last season, the Rajasthan Royals will look to push their performance to match what they did in the first ever season back in 2008 – when they won the title by beating the Chennai Super Kings in the final. And in order to do that, they look like they can push for some aggressive player purchases in the IPL auction coming up soon. IPL RR team 2019 players list is placed below. Ajinkya Rahane has been retained and he can be expected to skipper the side yet again but who he has for company makes for interesting reading. Despite ECB’s media release that speaks of England’s desire to recall their players from the IPL given the proximity to the World Cup, they have retained Ben Stokes till the end of the season. One of the reasons for this might be that despite Stokes’ poor form in the previous season. Also retained are some Indian youngsters who will be fighting to become the next big things in Indian cricket – these include off-spinning all-rounder K Gowtham, hard-hitting wicket-keeper batsman Sanju Samson, leg-spinner Shreyas Gopal and top-order batsman Rahul Tripathy who was the toast of the season in 2017. The big news, however, coming from the squad is the retention of Steven Smith, who wasn’t played in the IPL last season due to his suspension from Australian cricket. However, by the time IPL comes around, his suspension will be lifted and the IPL has also decided to allow him – and David Warner – to continue playing. His addition to the squad will be a huge bonus. Among others to watch out will be Jos Buttler, Jofra Archer and Ish Sodhi, all of whom play different kinds of trade and will be key to their side’s chances at least as far as making it to the playoffs are concerned. Unfortunately for them, it will be tough to keep playing after that given the World Cup issue. RR players who may depart early to their respective countries to prepare for world cup: Jofra Archer (Eng), Ben Stokes (Eng), Jos Buttler (Eng), Steve Smith (Aus), Ashton Turner (Aus), Oshane Thomas (WI). Among those released from the RR team, D’Arcy Short and Jaydev Unadkat are the big names. 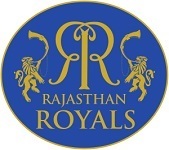 Rajasthan Royals players list 2019 will be placed below. 4 BASTMAN 1 WK. 2 ALL ROUNDER. 4 BOWLER. 2 spinner 2 fast bowler..
Pls select once again the best bowler in the world unadkat for lost match..